Wondering how to enter the ongoing trend of on demand services by creating your own on demand delivery app? This blog outlines 3 industries where you can establish a successful on demand delivery startup in 2017. Need someone to walk your dog on your behalf? There’s probably an app for that. From parking your car to hailing a taxi in a busy city, today the on demand services startups perform tasks that you only thought you were stuck with. As technologies keep evolving, new businesses establish, grow, and prosper. One of the proving examples of such businesses are the on demand delivery startups. The success of Uber in creating a market for on demand transportation through a taxi app has encouraged many Entrepreneurs to discover new opportunities in different industries. In fact, majority of industries have now been disrupted since the arrival of on demand mobile apps. The apps we’re talking are those apps that allows you to request a product or service when you need it. These apps are commonly referred as on demand delivery apps and there are grounds to assume that their popularity is going to increase in the years to come. Therefore, in this article we’re going to share 3 industries you can target with different on demand app ideas and explain why it’s a best bet to make an on demand delivery app in 2017. Though before we move forward, it’s important to learn about the current business leaders in the on demand market. Who Are The Leaders of On Demand Delivery Market? Before diving into the market, you need to know which startups are leading the industry at the moment and how they provide their services. This basically helps to understand what’s ruling the current market and figure out a different way to offer your services that stand out. Uber is a smartphone-enabled ride-hailing service alternative to taxi cabs. In simple words, Users can book a taxi using the Uber app whenever in need. Founded almost 8 years ago, the startup has now grown into a huge transportation network available in 81 countries and 581 cities worldwide. Furthermore, the company has already surpassed the line of $51 billion with 40 million monthly active riders. Do you know the reason behind Uber’s success? There are many factors that contributed in Uber’s success but the most important one is this – Price Surging strategy. 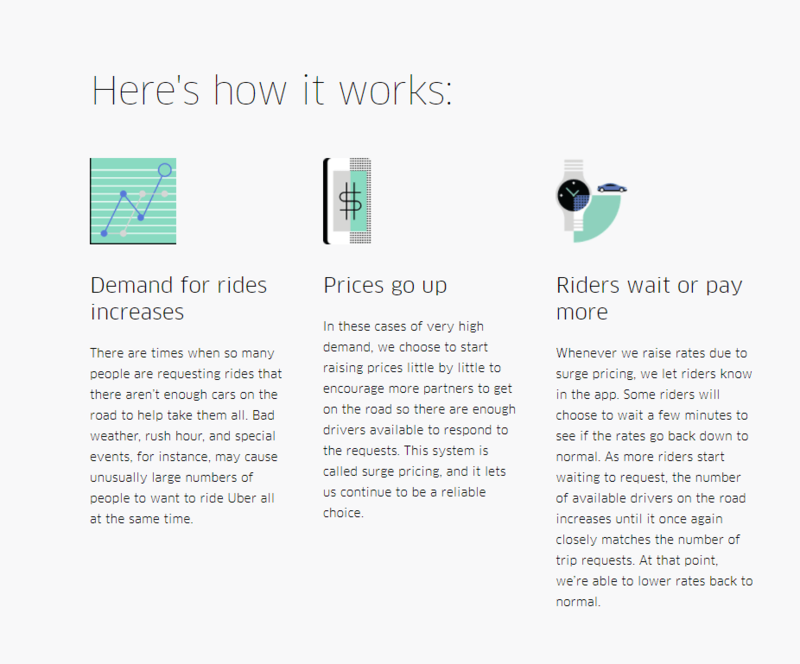 Price Surging helps quickly connect each person who needs a ride with a driver to help them get to their destination. This way, Uber remains on top of mind of the most people and is protected from economic instability. After Uber, many Entrepreneurs turned their focus onto on demand transportation app development and started building apps like Uber. Furthermore, the taxi businesses are also benefiting from developing Uber Clone which allows them to run their business efficiently in the market, while also increasing their brand awareness among millennials. Though Postmates is not as famous as Uber, but it is considered to be a popular example of successful on demand delivery app. The startup provides on demand food delivery services in most parts of US and its major target audience is millennials, who are known to value their time & too busy to take a trip to a restaurant for lunch. No wonder majority of them use Postmates to save time and effort for ordering food at their doorstep. According to a statistics, Postmates has already raised more than $280 million and has over 7000 restaurants as their business partners. Currently, the company operates in more than 200 cities and fulfills approximately 2 million delivery every month. Wag, to explain in the simplest terms, is an Airbnb for Dog owners and Dog walkers. If you’re planning to get away for the next weekend and have nobody to watch your dog on your behalf, Wag will solve the problem for you. Wag is an on demand dog walking app to aid those people who do not have time to walk their dog twice a day. Wag solves this issue by helping you find a nearby dog walker for your four-legged friend. Wondering how much would Dog walking app development cost? In one of our previous blogs we’ve explained in detail about How to turn modern age’s busy dog owners into your customers and make real money. Now that you know the current leaders in the on demand delivery market, let’s get ahead and discuss which Industry you can target. If you’re serious about establishing an on demand delivery startup, you need to know which industries appear to be the most profitable. Let’s see best 3 industries which have proven to be a good choice. Food & drinks delivery is one of the popular industries for developing on demand delivery apps at the moment. 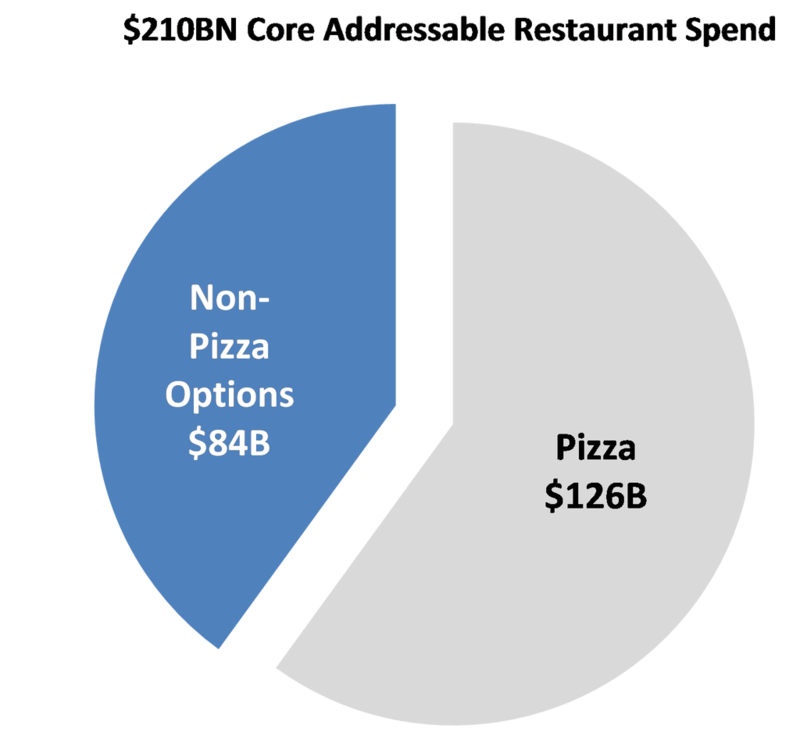 According to Techcrunch, online food delivery still presents a $210 Billion market opportunity. Moreover, today’s modern lifestyle leaves no time to make home meals or find an alternative. Therefore most of the times, people tend to choose the later, making on demand food delivery apps loved among busy people. If you’re interested in developing an app like Postmates to establish a food delivery app startup, then you can read our article which can help you get started with your local food delivery app development. The transportation industry is one of the first few industries to be disrupted in the on demand economy. We all know how easy it is to book a cab within a city. The business model of Uber has grown to a $60 Billion business in the span of 6 years, transporting people from point A to point B. Although, you’ll be surprised to learn that your choices are not limited to Uber, Ola, and Lyft. Cabs and taxi businesses have completely shifted to on demand model. Many existing taxi businesses have built and launched their own taxi apps like Uber to make it easier for their customers to book their taxi services. With more and more people using smartphones and mobile apps in their everyday lives, developing taxi apps for existing taxi businesses will achieve great heights in terms of customer base and profits. Moreover, just by looking at the achievements of Uber, it is clear that customers are already getting used to this convenience and the demand of such services is only increasing day by day. For this reason, many Entrepreneurs have also established startups like Uber with different approaches. One such example is BlaBlaCar. It is a ride-sharing app which also entered the transportation market with its innovative startup idea. To learn how to build a ride sharing app like BlaBlacar, you can our blog on Lesson From BlaBlaCar’s Success Story to Build a Million Dollar Ride Sharing App Startup. Whether you need to mount TV in your new house or fix a leaking pipe in the old one, there are on demand startup apps like TaskRabbit and Handy to help you with that. Skilled professionals, nowadays, no longer wait for customers to call them anymore. Customers looking for professional help do not depend on the yellow pages to find their phone numbers. The goes same for professional workers. In this modern age, skilled workers have also stopped listing their contact information across traditional channels just because there are now more tailored-made platforms available where the customers of today are actually looking for them. The main reason why customers who are in need of professional help are shifting their focus to these platforms (on demand apps) is because they’re fully customized to make finding, booking, and making payments easy. So, by developing a Handyman app like Uber, you can target the home-services industry and provide users to request a service of their need so that they can enjoy the convenience of their life. If you’re interested in developing an app like Taskrabbit, you can get more detailed information on one of our previous blogs – how Taskrabbit like apps are changing the world around us and how to be part of it. Why Space-O Technologies For Your On Demand Delivery Project? Space-O is one stop solution for all business and startup app solutions. With the experience of developing 2500+ mobile apps in 7 years of our journey, we’ve been awarded as Top Mobile App Development Company, Top Mobile App Developers, and also won 8th GESIA annual awards in 2015. While hiring a top mobile app development company like Space-O can take the entire burden off you but when it comes to establishing an on demand startup, there are certain points to consider. 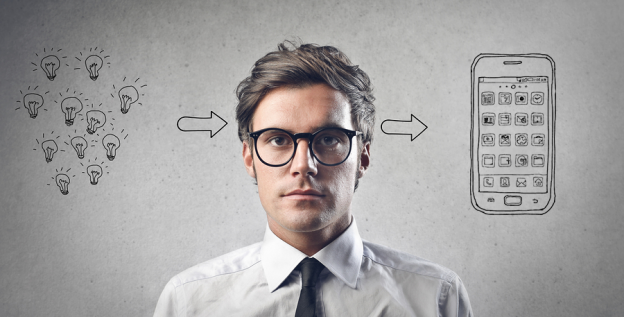 First of all, developing on demand applications depends on the complexity and type of your on demand app. There are a lot things to consider such as platform, target audience, features,and cost. And speaking of complexity, it goes without saying that developing an on demand delivery app requires skills, experience, and expertise. Our expert team of on demand app developers with creative blend of UI/UX designers can develop a feature-rich on demand app that fit your business requirements and goals. In fact, we’ve already developed on demand apps that not only became successful in the market, but also received a generous amount of fundings. Glovo, for example, is one such on demand local delivery app that raised €2M Funding. Another successful on demand app developed by us is Bevy. Bevy is an alcohol delivery app currently running successfully in UK. In fact, the app is now valued at £30 billion at the alcohol and tobacco market in the UK. 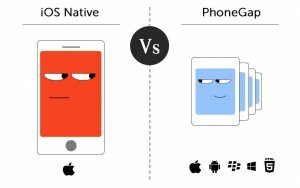 Our iPhone App Development and Android App Development team are still working on the new features which will be soon introduced in upgrading versions. If you’ve any similar idea for an on demand app and looking for experienced on demand app developers, shoot us an email with your query or fill out the below form and our business analyst will get back to you within 24 hours! This page was last edited on March 22nd, 2019, at 2:09. Want to Develop On Demand Delivery App? Contact Us Now! Fitness App Development: How Much Does it Cost to Develop an App like 7 Minute Workout Challenge?